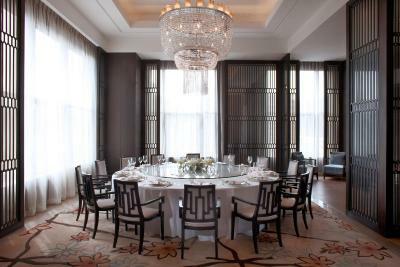 Lock in a great price for Shanghai Marriott Hotel Pudong East – rated 8.5 by recent guests! Staff friendly! Trying their best to communication with English ! 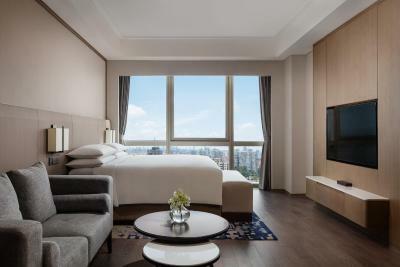 Unlike other hotels in Shanghai, the air conditioning works in the room. 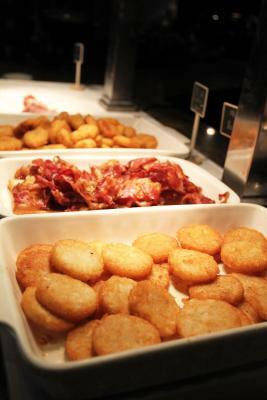 Breakfast options better suit a visitor. 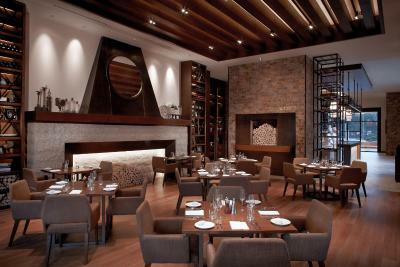 The Italian restaurant in the hotel is excellent. 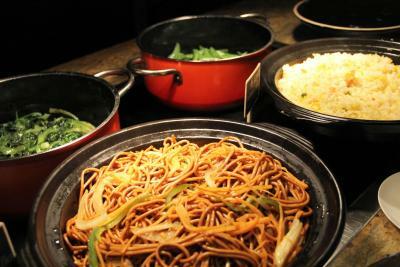 The weekend lunch menu was a good value. 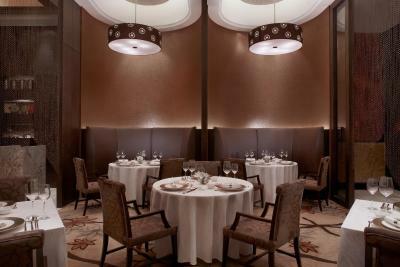 The hostess in the restaurant was exceptional (cheerful and helpful). STAFF ARE VERY FRIENDLY AND HELPFUL. ESPECIALLY LEO WHO WAS VERY SINCERE AND HELPFUL, WE HAD A VERY PLEASANT STAY AND WE WILL COME BACK AGAIN. 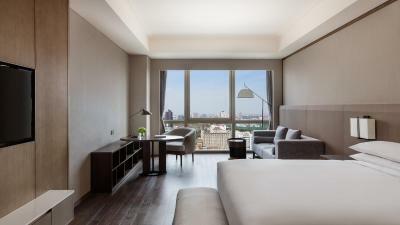 Large comfortable clean rooms. 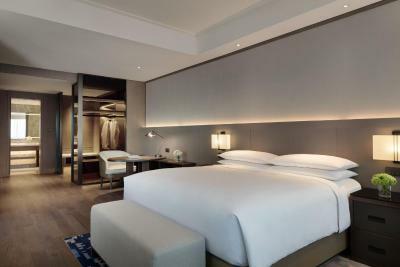 Very comfortable bed and large bathroom. 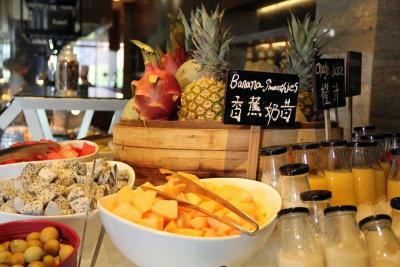 Great breakfast choices from around the world. The suit was amazing. Very good service and staff really efficient and friendly. 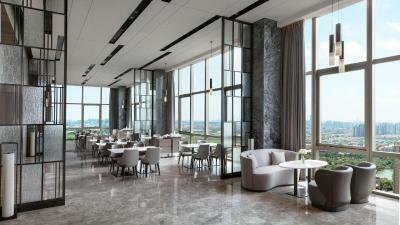 The Italian restaurant in lobby is excellent. 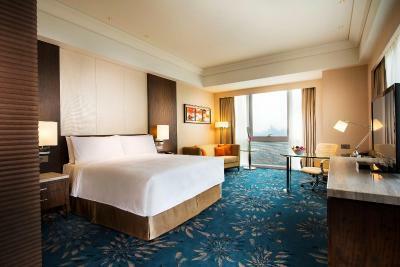 Room size very good, comfortable bed, good shower, everything seemed very clear. Wi-fi stable and fast. Staff was helpfull. 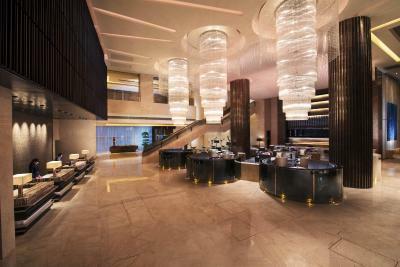 The best thing of this hotel is the location, which is great for foreigners. City sight from the room was very nice. Quiet and relaxing hotel. 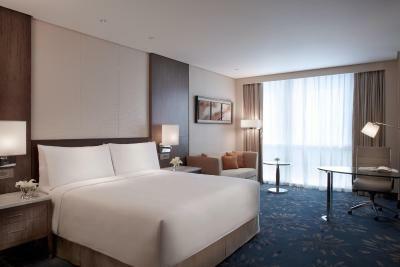 Very comfortable beds and good aircon. Nespresso coffeemaker in room. 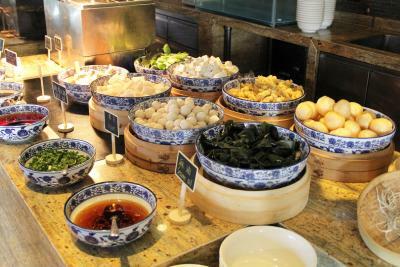 Good selection of eastern and western style breakfast. Nice restaurants and pubs around. 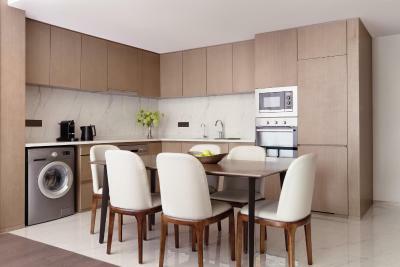 Conforto, luxo da decoração e limpeza dos quartos indiscutíveis... um dos melhores em que me hospedei!! Localização excepcional. 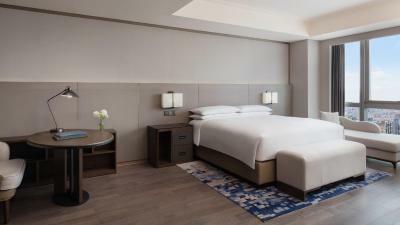 One of our top picks in Shanghai.Ideally located in Jinqiao Export Processing Zone, also known as the Green City of Biyun International Community, Shanghai Marriott Hotel Pudong East is surrounded by a breath-taking park, a canal, gardens and a variety of stylish restaurants. 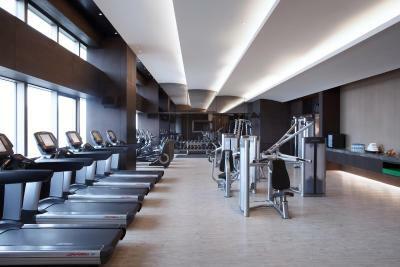 It offers free Wi-Fi, a 24-hour fitness center and a grand ballroom. 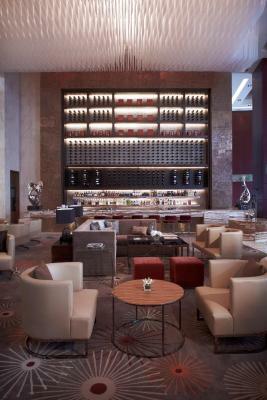 Marriott Pudong East is 3.1 mi from Tomson Shanghai Pudong Golf Club, a stunning 18-hole championship golf course. It takes 15 minutes by car to the key business area, including Lujiazui, Waigaoqiao Free Trade Zone and Zhangjiang Hi-tech Park. 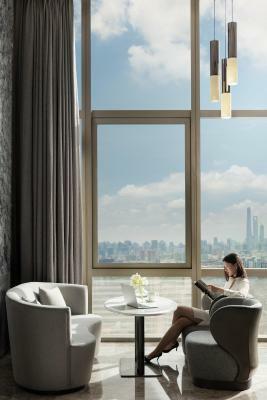 The Shanghai New International Expo Center (SNIEC) is just 10 minutes drive away, while Shanghai Expo, the newest exhibition center next to EXPO site is about 20 minutes drive away. 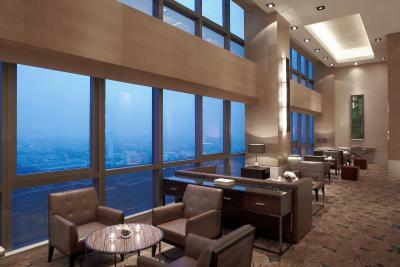 Pudong International Airport is a 45-minute car journey away. 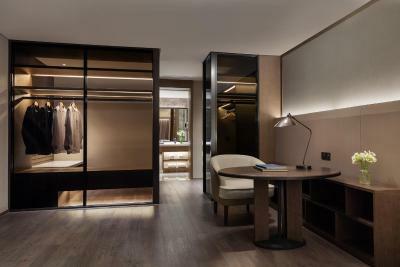 The modern rooms feature individual temperature control panel for comfortable rest and large windows overlooking the wonderful landscapes. 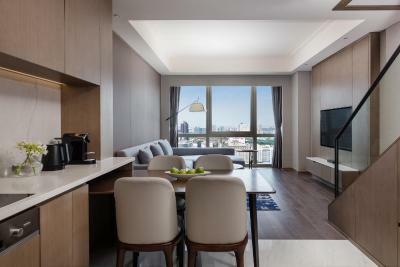 Each unit comes with a flat-screen TV with cable and satellite channels, an iPod docking station and a mini-bar with free bottled mineral water. 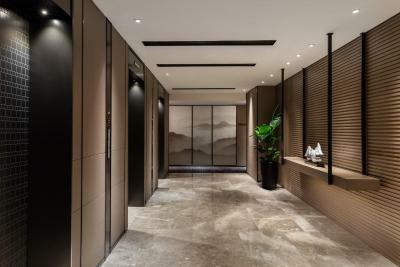 The generous working area, cozy seating areas and luxurious bathrooms with a separate bathtub and shower create an elegant atmosphere. 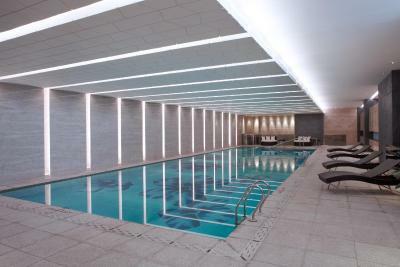 To rejuvenate, the indoor heated pool with hot tub is an ideal choice after a long journey. 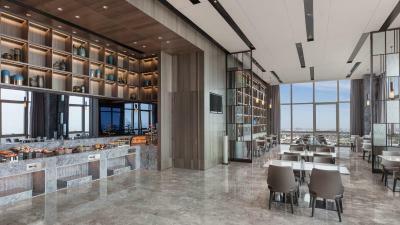 A full-service business center allows the travelers to catch up with the last-minute work. 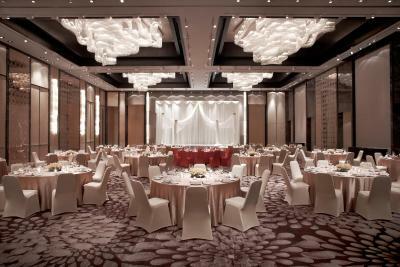 Also, offering a range of versatile meeting rooms, Marriott Pudong East is an ideal venue for meetings and weddings. 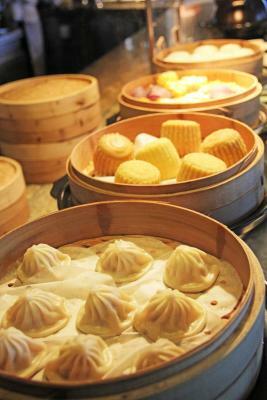 Man Ho Chinese Restaurant serves traditional Cantonese dishes with selections of Shanghai favorites, while Italian cuisine can be enjoyed at Casalingo with an open kitchen. 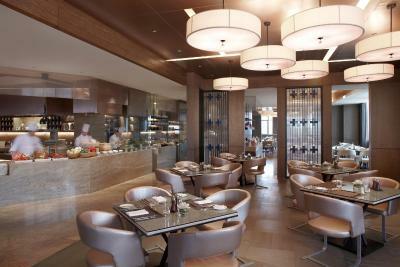 The all-day-dining Pudong City Bistro offers hearty international buffet spreads for breakfast, lunch and dinner. 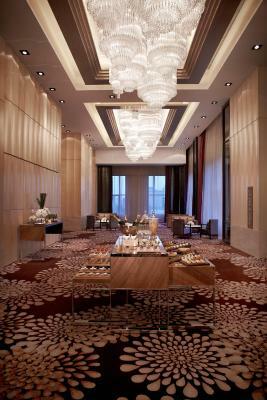 When would you like to stay at Shanghai Marriott Hotel Pudong East? 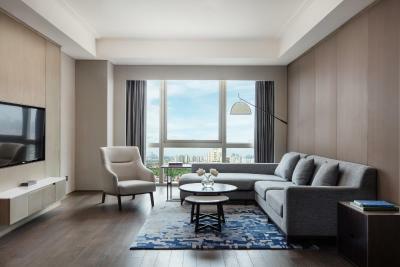 Offering floor-to-ceiling windows with lake views, park views and canal views, the room comes with plush beddings, iPod docking station, ironing facilities and a 42-inch LCD TV. 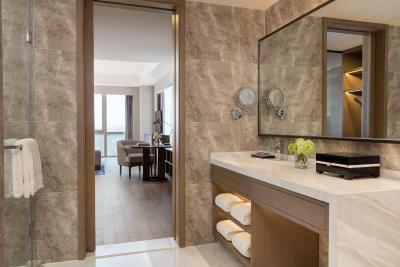 The marble bathrooms include a bathtub, shower facilities, bathrobes and hairdryers. 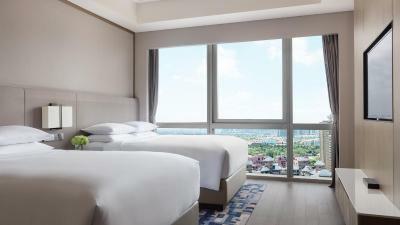 Offering floor-to-ceiling windows with city views, the room comes with plush beddings, iPod docking station, ironing facilities and a 42-inch LCD TV. 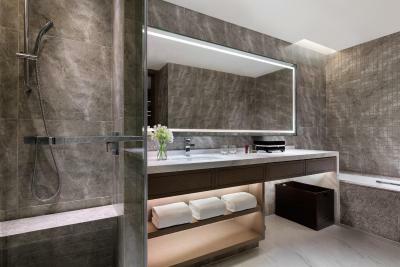 The marble bathrooms include a bathtub, separate shower facilities, bathrobes and hairdryers. 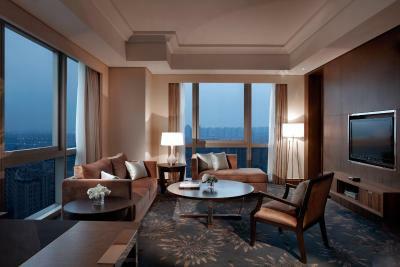 Suite comes with plush beddings, iPod docking station, ironing facilities and a 42-inch LCD TV. 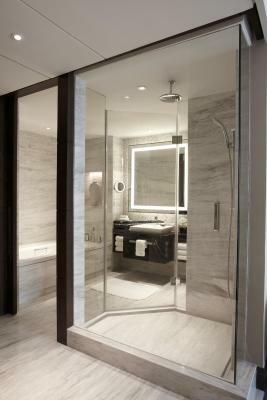 The marble bathrooms include a bathtub, separate shower facilities, bathrobes and hairdryers. Features an ample living room and a coffee machine. 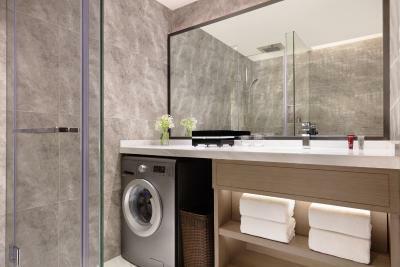 This double room features a mini-bar, satellite TV and bathrobe. 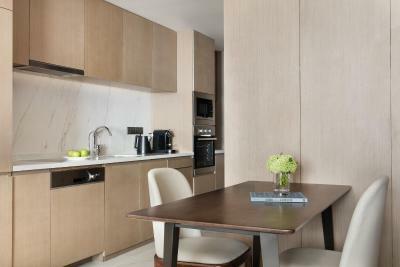 This apartment has a mini-bar, cable TV and sofa. 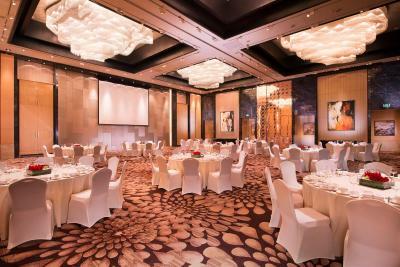 Shanghai Marriott Hotel Pudong East is located in Jinqiao within 15 minutes’ drive of Lujiazui, Waigaoqiao Free Trade Zone and Zhangjiang Hi-tech Park. 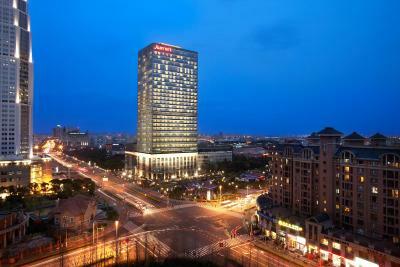 Pudong and Hongqiao International Airport are 25 to 45 minutes’ drive from the hotel. 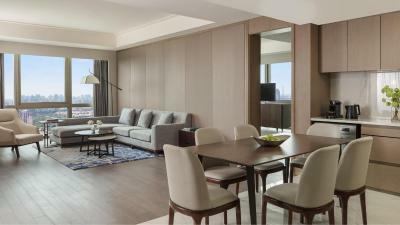 House Rules Shanghai Marriott Hotel Pudong East takes special requests – add in the next step! One older child or adult is charged CNY 135 per person per night when using existing beds. 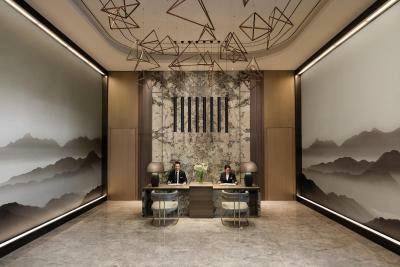 Shanghai Marriott Hotel Pudong East accepts these cards and reserves the right to temporarily hold an amount prior to arrival. Many of the staff could not speak English. I could not get a coffee with lactose free milk. The metro was a 20 minute walk away. Breakfast was not included on the room charge and it costed 240RMB!!! (Which I discovered when the waitress brought the bill). Fortunately, there is a Starbucks nearby. There was construction occurring on the floors above the hotel during the weekend. This made the hotel noisey especially the upper floors between 9 AM and 6 PM. A short term problem but something to be aware of. 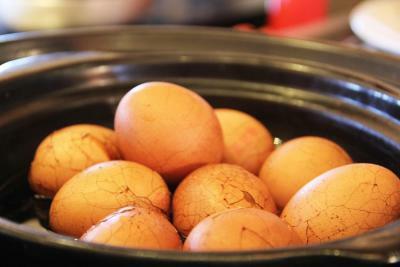 The breakfast is very average.